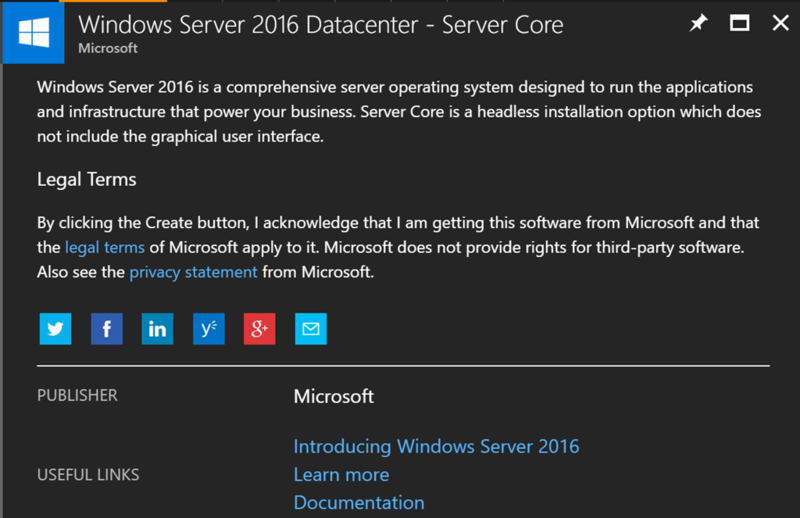 Beside the Windows Server 2016 Datacenter image, Microsoft also provides an image with Windows Server 2016 Datacenter – Server Core in Azure. If you are using the Server Core image and want to enable Azure Disk Encryption for the VM, you will see the following error message. The official solution is described in the Azure documentation. You do not need to take the steps 1 to 3. 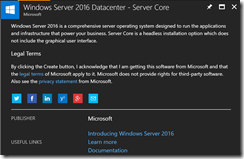 You only need to copy the four files from a 2016 Datacenter installation onto the 2016 Datacenter – Server Core installation. Afterwards you can follow the steps 1 to 3 as stated in the documentation or directly enable ADE for the VM via PowerShell or an ARM template. This entry was posted in Azure and tagged Azure, Azure Resource Manager, Azure Stack, Cloud, Hybrid Cloud, IaaS, Microsoft Azure, Private Cloud, Public Cloud, Security, Server on 13. September 2017 by Daniel.